Do you want to start art journaling, but you’re not sure what you need to start with? Maybe you saw my list of Recommended Art Journal Supplies and started to feel a bit overwhelmed. Not to worry! Today I’m sharing my bare-minimum, 5 must have art journal supplies! So if you want to give art journaling a try, you won’t have to go buy out the entire arts and crafts store just to see if you like it. You have to have something to art journal in, and a sketchbook is a great place to start! But I’ve either used or seen other people use everything from old books to their coffee instruction booklet to art journal in, so you can definitely get creative! Hardcover sketchbooks are nice if you want to use both pages for one “spread”. 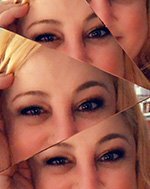 The trick is finding one that will lay flat, or at least almost flat, yet still have thick enough paper to accept all kinds of media without buckling or warping. I really love the Field Artist Watercolor Journals for that purpose, but they only come in small sizes (like 4″x4″ – 4″-6.5″). The smaller size may be perfect for a new art journaler! But if you’re looking for a little more room to journal in, I just got a Seawhite Black Cloth Hardback Artists Sketchbook and I love it! It’s a landscape sketchbook, with A4 sized paper (which means it’s about 8.3″x11.7″) and the paper is just thick enough to handle most media. You could get these 8″ Scotch Precision Ultra Edge Non-Stick Scissors like I have (and love!) Or, if you prefer smaller scissors to get all the tiny details, you could try these small EK Tools Precision Scissors which are also non-stick. This goes back to the idea of collaging — you’ll need something to stick those cut pieces of paper down in your art journal. But glue sticks aren’t just for collage! I sometimes glue in things like cute packaging, concert tickets, bits of wrapping paper, and other ephemera, etc. The key with glue sticks (or any kind of adhesive, really) is that you want to make sure they’re acid-free. That way you can be sure your art journals will last longer. Luckily you can buy Elmer’s Washable Disappearing Purple Glue Sticks (and share them with your kids, if you want to!) But my art school professors always recommended UHU Stics, and while they are a little pricier, they stick so well, I can see why they were recommended. You can dilute acrylic paint with water to make it a “wash” that looks a lot like watercolor, so you may want to try acrylics for versatility. But keep in mind there is still a difference! When dry, acrylic is basically “stuck” to the page, so you can add layer after layer if you want to. But that also means any “mistakes” are there to stay. Watercolor, however, will lift if you add more water on top of it. This can be both a good and bad thing! Yes, you can still layer with watercolor, but it definitely takes some practice. Watercolor also tends to dry lighter than acrylic. Either way, you can start out with a set of primary, black and white acrylics (with these you can make any color you want by mixing them), or a pan set of watercolors for around the same price. 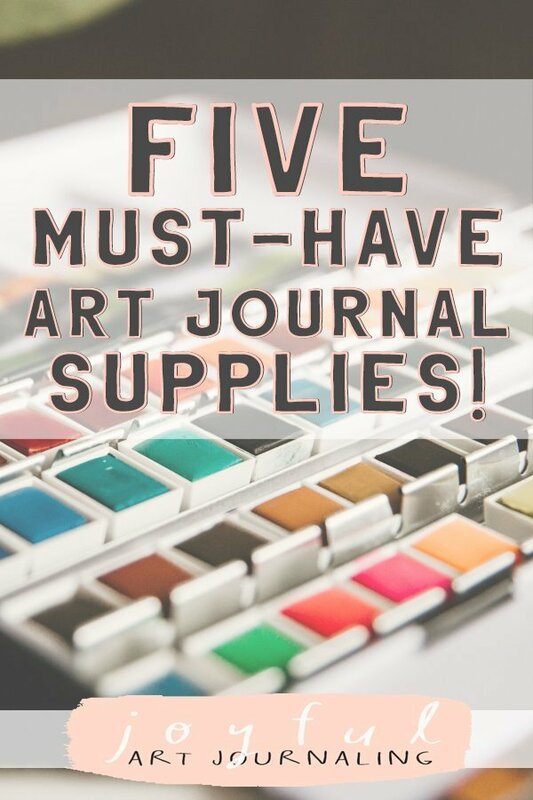 And there you have it: 5 must have art journal supplies! Of course, if you want to expand beyond these basics, make sure you check out my Recommended Art Journal Supplies!